From 2D to 3D, effortlessly. 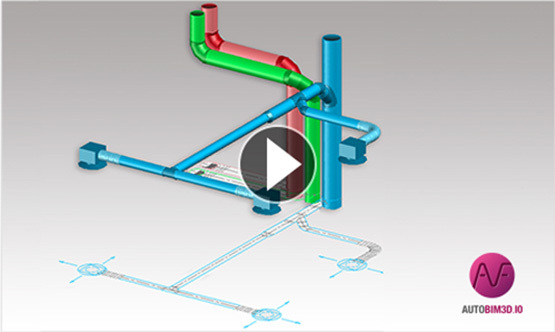 Transform your enriched 2D drawings for heating, air conditioning (HVAC), and plumbing into 3D models, simply and quickly, to integrate them into BIM projects. 3D files saved in .IFC format with AUTOBIM3D Xport are compatible with all common BIM packages on the market. Once imported into a BIM model, your networks can be modified directly into your modelling package. And since all the data associated with your network drawing are encapsulated in the file itself, you will never be missing a 3D object or a Revit family. 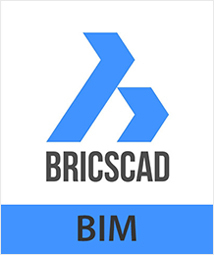 In a future update Tracéocad is planning to further develop AUTOBIM3D Xport with a .RVT format export module that will let users save 3D files in Revit’s native file format. 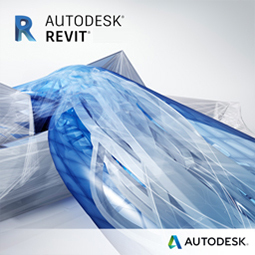 It will be possible to edit and share your network plans in Revit, without the need to master the software. With AUTOBIM3D you can contribute to BIM projects in 3D while using your current 2D drawing skills and tools. Your productivity won’t suffer and neither will your budget. 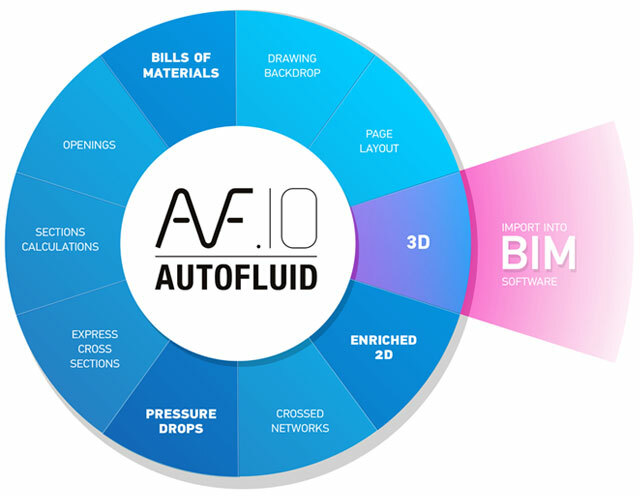 All you have to do is to export 2D architecture plans from the BIM model and use them to create your network drawings in AUTOFLUID. 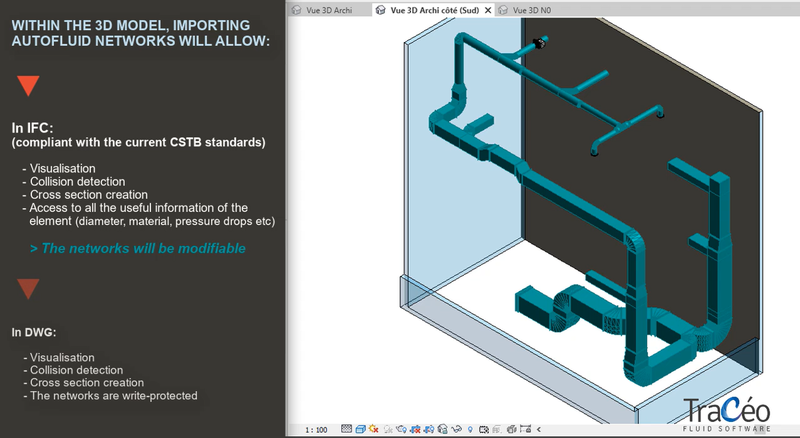 Once they’re drafted, AUTOBIM3D exports them back to your BIM project, in 3D. AUTOBIM works together with AUTOTUBE for drawing air conditioning networks, with AUTOGAINE for drawing heating and with AUTOSAN for plumbing. On today’s building sites, only real enriched 2D fluids networks plans that were created and thought through in 2D are really fit for building. 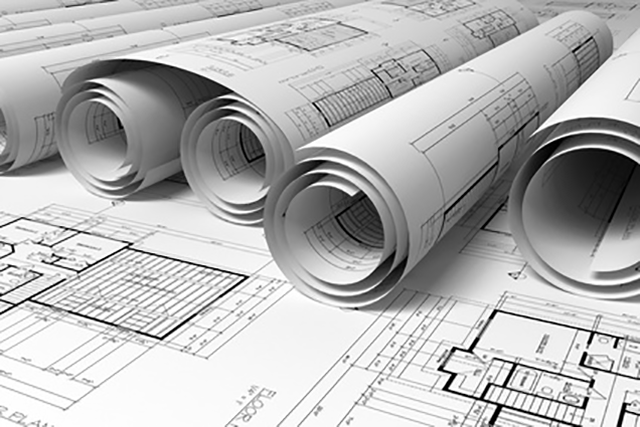 Plans generated directly from 3D models must be re-worked to include all the necessary detailed information that insure they’re read correctly on site. 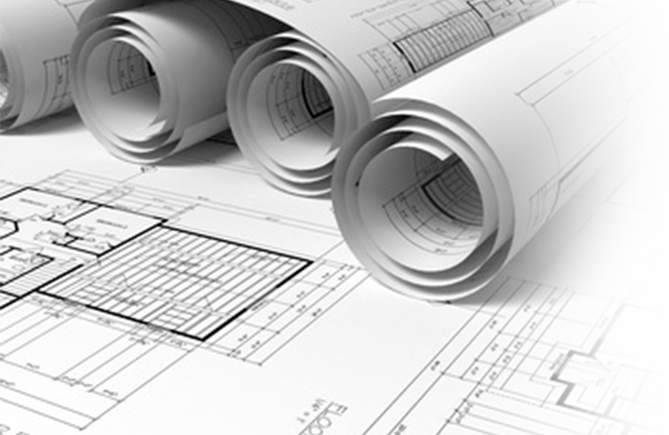 This extra time spent increases with each modification in the BIM model. Therefore with AUTOBIM3D we’ve decided to turn the process on its head : starting with fast and accurate 2D design to then generating 3D network models for BIM projects. We work at the heart of your profession, which makes us obvious partners for honing your tools and your skills in the most relevant way. Many engineering practices have already trusted us for supplying software and training on their whole production chain. Get in contact, we can take care of it. Faithfull to our comitment to simplicity, we’ve worked long and hard for AUTOBIM3D to be pragmatic and quick to master. 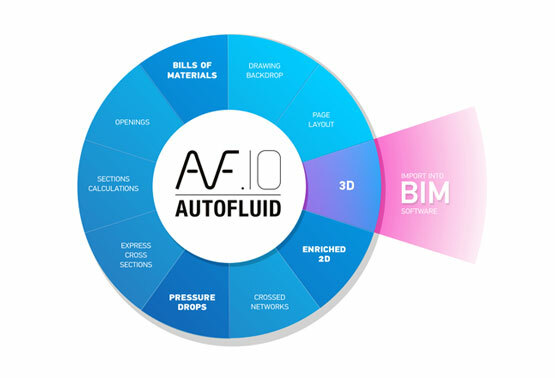 For an AUTOFLUID user, it should only take 2 days of training to be able to export networks into a BIM model. To get started in the best possible way or to improve existing knowledge, Tracéocad offers beginner and expert training for each application.